The Individual Voluntary Arrangement (IVA) application and acceptance process can be arranged in less than 60 days. A two month application is typical, but the IVA process can sometimes be achieved in a shorter time. The IVA process will begin with the applicant finding a suitable Insolvency Practitioner (IP). The IP is the person who conducts the entire process from application to acceptance, and until the IVA ends. The IVA application process can be broken down into set steps prior to acceptance. These first few steps can seem daunting but once the application has been processed most of the work will be undertaken by the IP. The IVA application process will begin by assessing that the client meets all eligibility requirements. If eligibility is satisfactory then the next step will be a complete financial review to assess how much the client can pay creditors. The amount that is decided on should be comfortably afforded by the client but also an amount that is acceptable to creditors. If the amount is acceptable to the client then the IP will draw up a statement of affairs and a proposal. All creditors will receive a copy of the IVA proposal. Included in this formal document will be all of the client’s debts and relevant financial details. The statement of affairs will be a major part of the IVA proposal. It will include financial details such as assets, income and expenditure, and the amount of disposable income the client has. The proposal will be used by creditors to determine whether the IVA is acceptable. The Insolvency Practitioner will be required to submit a report to court. This will usually occur around week two of the process. Details in the report will include the chance of creditors accepting the proposal and the intended date, place and time of the creditor’s meeting. The creditor's meeting cannot take place more than 28 days after the submission of the nominee’s report. Once the creditors have read the proposal the next step will be the creditors meeting. Although it is called a creditor’s meeting the creditors do not usually attend but simply make their intention known in writing. One of the major requirements to an acceptance of an IVA is that 75% of creditors must agree to the arrangement. If 75% or more of the creditors agree then the IVA will be accepted and the arrangement can begin. Although 60 days is usually the maximum number of days for the IVA process it can be completed in less time. One of the major time factors is the client returning paperwork to the IP and filing court paperwork. The IVA process from application to acceptance can actually be completed in as little as a month. Another factor in the timescale will be whether the client decides to apply for an Interim Order. Application for an Interim Order will add a few days to the entire IVA process. It is up to the client whether or not they wish to apply for an Interim Order. This court order is designed to stop creditors from harassing and seeking payment from debtors during the IVA set up process. There is a fee applicable for an Interim Order and this fee will double if the IVA is a joint application. The Insolvency Practitioner will be able to advise whether or not an Interim Order is warranted. 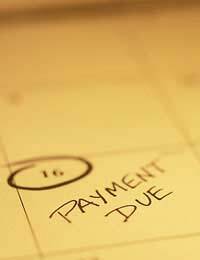 If creditors do agree to the IVA then it will usually take five years of monthly payments until the arrangement ends. An IVA will not be for everyone and all other debt solutions should be considered before opting to begin the IVA application process. If this is the right debt solution the IVA application can be the first step towards a debt free life. I received a phone call from someone saying there were offering me to apply for an IVA, yes I'm in a lot of debt. After a chat I agreed.Then I had to submit 3 signatures and copies of all debt. How do I know if genuine or not?